About 70 DVD titles per month. About 50 Audio CDs per quarter. 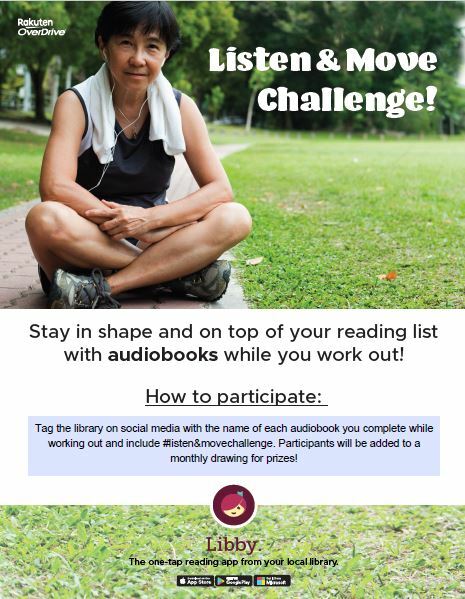 Use your library card and a free app for your personal playback device: iPhones, iPads, Kindle, laptop, etc. Get started at OverDrive website, or ask at the Library. DISCLAIMER: While this website has links to other sites, the Library takes no responsibility for content or management executables on those sites.